These Terms are effective as of the date first written above. We may update these terms from time to time by posting such updated Terms to www.nfors.org or by providing email notice to you. Terms posted to www.nfors.org shall become effective upon posting. Terms provided via email (or via a link in an email) shall become effective upon sending by us. In the event of an update, by continuing to use NFORS you agree to be bound by any such updated Terms. If you do not agree, you must immediately stop using NFORS. We may change or discontinue any feature of NFORS at any time without notice. A person in your organization has been designated as your account administrator and will provide you credentials to access and use NFORS. The first time you use NFORS you may be required to enter certain registration data such as your name, address, and date of birth. You agree to keep this information up-to-date. You represent and warrant that: (1) you have the full power, authority, and legal capacity to enter into the Agreement and follow its obligations, and (2) all information that you provide is true and current. 4. Fees, Billing, and Payment. Your organization has agreed to pay the NFORS subscription fee on your behalf. If your organization stops paying your NFORS subscription fee, we may suspend your access to NFORS. You may terminate your subscription at any time by providing notice to us. We may cancel or suspend your access to NFORS at any time, without cause and/or without notice and without further liability or obligation. Your right to use NFORS will end once your service is terminated. There will be no refunds issued. We grant you a personal, non-exclusive, non-transferable, limited and revocable license to use NFORS for your own use and provided that you comply and remain in compliance with this Agreement. You may not circumvent any mechanisms for preventing the unauthorized access, reproduction, or distribution of NFORS. Your license terminates immediately upon cancellation or termination of your NFORS account or if we believe you are in violation of these Terms. You may not (a) sell or redistribute NFORS or provide your user credentials to another person or entity, (b) incorporate any aspect of NFORS into another product, or (c) reverse engineer, decompile or disassemble NFORS or otherwise attempt to derive the source code from NFORS (except where expressly permitted by law). You may not modify, adapt or create derivative works from NFORS in any way or remove proprietary notices posted on NFORS. You may access NFORS only through the software, interfaces, and protocols provided or authorized by us. You may not authorize or assist any third party to do any of the things prohibited in this paragraph. Any rights not specifically licensed to you for any NFORS software are reserved by IPSDI. Your license will end on the date your NFORS service ends. Your license will also end if we modify NFORS in a way that no longer supports the service. We provide NFORS “as is”, “with all faults” and “as available.” YOUR USE OF NFORS IS AT YOUR OWN RISK. We make no express warranties or guarantees about NFORS or any of its information. TO THE EXTENT PERMITTED BY LAW, WE DISCLAIM IMPLIED WARRANTIES THAT THE WEB SITES, SERVICES, CONTENT AND MATERIALS ON NFORS ARE MERCHANTABLE, OF SATISFACTORY QUALITY, ACCURATE, FIT FOR A PARTICULAR PURPOSE OR NEED, TIMELY, RELIABLE, NON-INFRINGING or that the website, data, analytics, visualizations or the server(s) on which they are hosted are free of viruses, bugs, or other harmful components. WE DO NOT GUARANTEE THAT THE RESULTS THAT MAY BE OBTAINED FROM YOUR USE OF ANY OF THE FOREGOING, INCLUDING ANY SUPPORT SERVICES, WILL BE EFFECTIVE, RELIABLE, ACCURATE OR MEET YOUR REQUIREMENTS. WE DO NOT GUARANTEE THAT YOU WILL BE ABLE TO ACCESS OR USE NFORS AT TIMES OR LOCATIONS OF YOUR CHOOSING. NO ORAL OR WRITTEN INFORMATION OR ADVICE GIVEN BY OUR REPRESENTATIVES SHALL CREATE A WARRANTY. Every effort is made to assure that all information published is correct. However, we disclaim any liability for errors or omissions in the services and as a subscriber you assume the risk of possible errors or omissions. No advice is intended or offered by NFORS in making any of the information available, and we disclaim any and all liability related to any decision take by a party in reliance upon any information provided. WE SHALL NOT BE LIABLE FOR ANY INDIRECT, SPECIAL, INCIDENTAL, CONSEQUENTIAL OR EXEMPLARY DAMAGES ARISING FROM YOUR USE OF NFORS. THESE EXCLUSIONS APPLY TO ANY CLAIMS FOR LOST PROFITS, LOST DATA, LOSS OF GOODWILL, WORK STOPPAGE, COMPUTER FAILURE, COMPUTER INFECTION, OR MALFUNCTION, OR ANY OTHER COMMERCIAL DAMAGES OR LOSSES, EVEN IF WE KNEW OR SHOULD HAVE KNOWN THE POSSIBILITY OF SUCH DAMAGES. BECAUSE SOME STATES OR JURISDICTIONS DO NOT ALLOW THE EXCLUSION OR THE LIMITATION OF LIABILITY FOR CONSEQUENTIAL OR INCIDENTAL DAMAGES, IN SUCH STATES OR JURISDICTIONS, OUR LIABILITY IN SUCH STATE OR JURISDICTION SHALL BE LIMITED TO THE EXTENT PERMITTED BY LAW. IN NO EVENT SHALL OUR CUMULATIVE LIABILITY TO YOU FOR ANY AND ALL CLAIMS RELATING TO THE USE OF NFORS EXCEED THE TOTAL AMOUNT YOU ACTUALLY PAID TO IPSDI. Upon a request by us, you agree to indemnify, defend and hold harmless IPSDI and its subsidiaries and affiliates and their respective employees, attorneys, assigns, successors-in-interest, contractors, vendors, suppliers, licensors, licensees and sublicensees, from and against any and all claims, damages, causes of action, costs (including reasonable attorneys’ fees) and other expenses that arise directly or indirectly out of or from: (1) your actual or alleged breach of these Terms; (2) any allegation that any information, data, or other material you have submitted or transmitted to us infringes, misappropriates or otherwise violates the privacy, HIPAA, copyright, trademark, trade secret or other intellectual property rights of any party; and/or (3) your activities or omissions in connection with the information provided via NFORS. We reserve the right, at our own expense, to assume the exclusive defense and control of any matter otherwise subject to indemnification by you, in which event you will cooperate with us in asserting any available defenses. We may receive and store certain types of website and email usage information whenever you visit any of our web sites or open one of our NFORS emails. For example, we may collect the page served, time, source of the request, type of browser making the request, preceding page view, previously stored “cookies”, and other similar information. With regard to email messages, we may store information about whether or not the email was viewed, whether or not images were downloaded from our server, links that may have been accessed, the identity of the subscriber, and whether or not the report has been forwarded to others. When analyzed, website and email usage information helps us determine how subscribers and visitors utilize information, what type of information is most popular, and the manner in which information is being viewed. We may receive and store certain types of personal information provided by you in the course of providing service. For example, we may collect terms, phrases, and choices you make while searching, browsing, or configuring alerts or bookmarks. We collect and store billing information. We record changes to your account status. For example, we may record when payments were made by your organization, when your account was accessed, when your password was reset, and similar audit information. 10.4 Data Provided by You and Your Organization. As part of the NFORS service, we may receive operational, organizational, and statistical data about you from you or your organization. 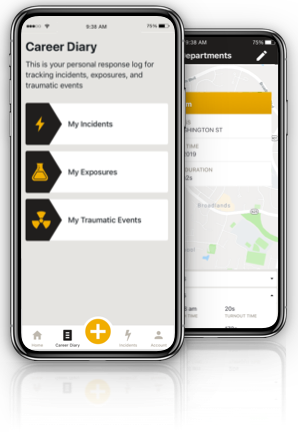 For example, if you are a county emergency services provider, we may receive information regarding emergency calls received, date/time information for such calls, response time for calls, type of emergency, location of emergency, the identity of persons assigned to a call, outcome of a call, etc. (collectively, “Organizational Data”) Additionally, we may receive information that you provide to us regarding specific incidents such as the date/time of an incident, the nature of the incident, and the outcome of the incident (collectively, “Your Data”). By providing us Your Data, you represent and warrant that Your Data is free from personally identifiable information (“PII”) (other than your own) and that your disclosure to us does not compromise or infringe the privacy interests of any third parties. 10.5 Our Use of Your Information. The information you provide to us may be used to (1) send you newsletters and/or other e-mail communications for which you have registered; (2) contact you about changes to our web sites or our services (e.g., notification of changes to these Terms, or other policies that affect your use of our web sites); (3) monitor or improve the site; (4) administer the site’s systems and for other internal business purposes; (5) customize the content you see; (6) comply with and monitor compliance with our Terms and other applicable agreements and polices; and (7) for other purposes disclosed when you provide your information. We may employ or contract with third parties to perform functions on our behalf; examples include hosting or operating our site, fulfilling orders for products and services purchased through the site, sending e-mail, data analysis, marketing assistance, and customer service. These third parties may have access to your personal information for the purpose of performing such functions on the site’s behalf. We do not sell personal information to third parties or provide it to them for any purpose other than the provision of products and services through the site. We may aggregate and bundle data with other users of NFORS for use by or license to third parties, including your organization. We will make reasonable efforts to aggregate/bundle user data in such a way to obfuscate your identity. Nevertheless, some of Your Data may be so specific to you that your identity cannot be fully obfuscated. (e.g. a rare incident report that was known by others to be associated with you). By providing Your Data to us, you expressly consent and agree to this use. 11. This is an Electronic Contract. Your affirmative act of using and continuing to use NFORS constitutes your electronic signature to these Terms and your consent to enter into agreements with us electronically. You also agree that we may send to you in electronic form any privacy or other notices, disclosures, reports, documents, communications or other records regarding NFORS (collectively, “Notices”). We can send you electronic Notices (1) to the e-mail address that you provided to us during registration or (2) by posting the Notice on the applicable web page of NFORS. The delivery of any Notice from us is effective when sent by us, regardless of whether you read the Notice when you receive it or whether you actually receive the delivery. You can withdraw your consent to receive Notices electronically by canceling or discontinuing your use of the applicable Service. In order to receive Notices electronically, you must constantly maintain the email address or web address which you have provided to us. All contracts completed electronically will be deemed for all legal purposes to be in writing and legally enforceable as a signed writing. These Terms and any supplemental terms, updates, policies, rules and guidelines posted on NFORS constitute the entire agreement between you and us and supersede all previous written or oral agreements. If any part of these Terms is held invalid or unenforceable, that portion shall be construed in a manner consistent with applicable law to reflect, as nearly as possible, the original intentions of the parties, and the remaining portions shall remain in full force and effect. You agree that the laws of the Commonwealth of Virginia govern this contract and any claim or dispute that you may have against us, without regard to conflict of laws rules. You further agree that any disputes or claims that you may have against us will be resolved by a court located in Arlington County, Virginia, and you consent to personal and subject matter jurisdiction in such courts. We may assign this contract at any time without notice to you. You may not assign this contract to anyone else. If you have any questions or concerns about these Terms, about any information that we may have collected or stored, or to delete, opt out or modify any of the information contained in our database, please contact us directly at IPSDI, 10317 Burwell Rd., Nokesville, VA 20181, hello@i-psdi.org.